Wind—we cannot see it, but we can feel it. This natural phenomena is created by warmer air levitating to the sky and colder air sinking down. Warm air is lighter than cold air. Both warm air and cold air rotate as the cold air gets warm and begins to rise. This process creates wind. 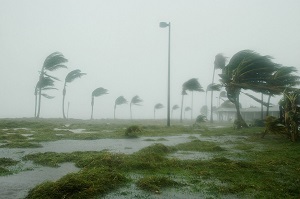 Some winds can cause a lot of damage, especially during tornadoes and hurricanes. The major air currents that travel the world are called prevailing winds. These winds blow in the same direction and with the same force. Local winds are the complete opposite of prevailing winds because they only blow in small areas of land and often change direction. Hopefully you have learned a little bit about wind and how it moves. You never know when this information could come in handy!